I met up with Alastair Fuad-Luke early on a Sunday morning to talk about design activism. Alastair is currently based in Helsinki as Professor of Practice in Emerging Design Practices at Aalto University School of Arts, Design and Architecture (that’s a long title!). Alastair will stay in Finland until December 2014 (at least) and is dividing his time between Aalto University in Helsinki and City of Lahti / Lahti University of Applied Sciences. Alastair – could you introduce yourself briefly? I was trained as an inter-disciplinarian and graduated as an environmental scientist in late 70s. 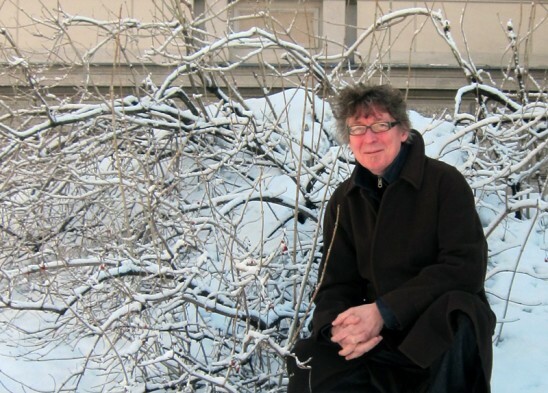 I then started my doctoral research in applied biology in Cambridge, but this research was never completed since I set up a consultancy on ecological design – to repair industrial environments. I specialised in ecology and systems thinking and was working with planners, geologists, computer scientists, municipalities, etc. The consultancy soon evolved into an ecological landscape design and build company which is still functioning today, although I have not personally been involved since 1990. I started to teach design in late 90s, I gave my first lecture on ‘eco-design’ in 1998. Your most recent book is titled ‘Design activism’. How would you define design activism? Design activism is ‘design thinking, imagination and practice applied knowingly or unknowingly to create a counter-narrative aimed at generating and balancing positive social, institutional, environmental and/or economic change’. The purpose of (co-)design is the creation of new societal values to balance human happiness with ecological truths. In doing so, design contests the notion of material and economic progress, and its inherent ecological untruths. Design can propose alternative stories to default paradigms, like economic growth. For example, if the economic growth over two quarters is negative, then that’s called a recession… this is naive. This is ecologically, socially and even economically naïve, because we should frame these short-term fluctuations in a longer-term perspective. When thinking about the future, we have to look at other indicators than just the values in the stock exchange..The opinions of shareholders represent only a small minority of people. The stock exchange is an abstraction gone crazy, as it doesn’t reflect “true cost” economics which includes real social and ecological ‘costs’. Could you give an example of a counter-narrative? This week at Aalto University we had a workshop about smoke free environments. Smoking is a social issue, but also an economic issue (taxes), an environmental issue (tobacco growing around the world), etc. The students used the co-design loop approach I have developed which you can find on the front page of my website (www.fuad-luke.com). 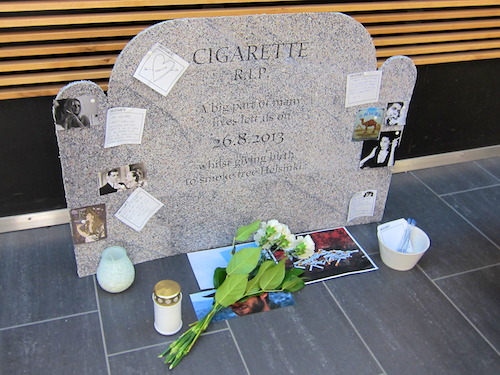 The students made 9 different proposals – some are based on products (electronic cigarettes), some are more performative (The ‘Funeral’ of the Cigarette). The solutions are inclusive, smokers are not excluded from the community. 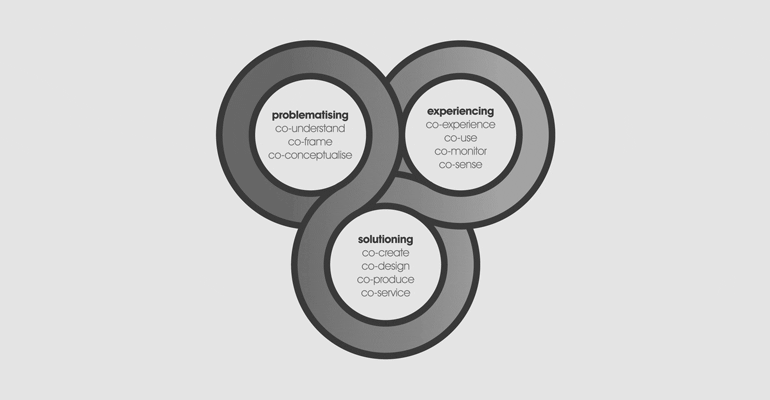 Establishing the problem space is really important – gaining understanding about the deep underlying meta-problems together with all the stakeholders and the people involved. The student’s proposals were exhibited in a public corridor in Arabia building next to Aalto University School of Arts, Design and Architecture, between 23-30 March 2012. More information about ‘Smoke Free Environments’ on 365wellbeing site and in Alastair’s presentation slides (from a presentation at the Design Museum, 27 March 2012). Not yet – so far these are counter-narratives that have the potential to become activism – to activate a a change in society. In activism it is important to have an idea of a purpose – we need to focus on a specific issue, to know what is the target group and try to measure the change that the impact makes (quantitatively and/or qualitatively). We need to balance different ‘capitals’ – if we want to grow economic capital, we need to make sure that we don’t damage social, natural and other capitals. With Aalto University doctoral students I’m currently developing an open source model / framework called ‘Design Capitalia’, which currently includes 34 forms of capital, one of which is economic. When we design we need to think of how we influence these different forms of capital. We need to understand which ‘capitals’ we are trying to grow, nourish (give potential to grow), maintain or diminish. We hope to publish the first draft of the model later this year. Measuring the impact of activism is often not easy. A good example of this is a project by Louis Le Roy’s ‘Ecocathedral’, a hand-built monument that he has been working on for 30 years – but this is just the very beginning of this 1000 year long project. How can you measure the impact of something that is supposed to last for a 1000 years? I proposed to Alastair that the draft of the Design Capitalia framework could be presented in Open Knowledge Festival in Helsinki in September and he agreed that this would probably be a good occasion for it… so hopefully we can see the first version then! On this occasion time I did not have time to ask about the intriguing subtitle of Alastair’s Design Activism book – ‘beautiful strangeness for a sustainable world’. Next time!